Kill Triv before good grass wakes up fully? Anyone used glyphosate on Triv before all of your good grass resumes growth in late Winter or early Spring? Re: Kill Triv before good grass wakes up fully? Sorry I don’t have an answer for your question but would you mind posting a few pictures of what your triv is looking like this time of year? Sure, I can do that. I'll edit this post later and post a picture taken today. It's actually not easy to spot this time of year. but I knew where it was from the Fall. Last edited by Green on Sun Feb 10, 2019 8:56 pm, edited 1 time in total. I plan to try this too, so I am subscribing in the hope that someone comments from experience. Glyphosate is temperature dependent, meaning it won’t be effective in cold weather. ^ + the target plant needs to be growing to absorb it. I haven't noticed poa t getting out of dormancy ahead of the rest of my lawn. 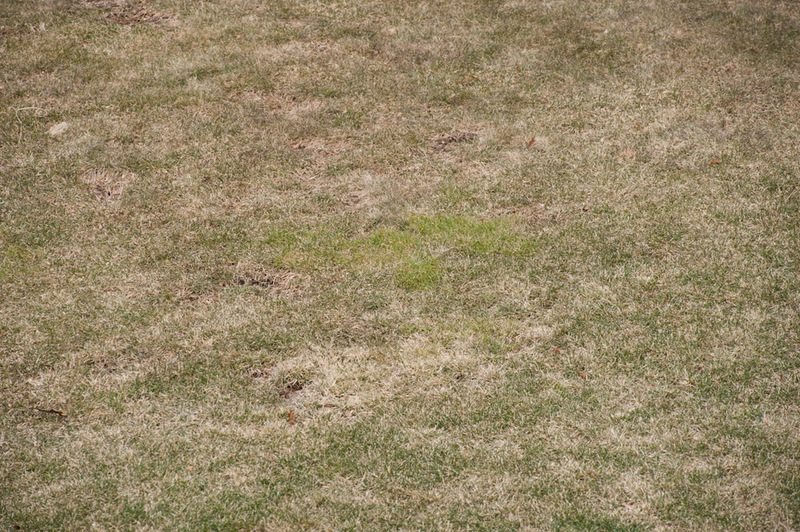 I haven't noticed poa t getting out of dormancy ahead of the rest of my lawn. I have. Not yet. It's too early. But in a few weeks it'll start. @Green you’re right, it’s not easy to spot in the picture unless you were looking for it. It doesn’t appear to be too large of an area. What about cutting it out and dormant seeding? Consider giving the glyphosate the best chance it has with AMS in the tank, checking the PH to be sure it is under 6 but 5 is great. Adding citric acid to reduce it further if needed, agitating the mixture thoroughly and then lastly adding the glyphosate. Not right now, but in a few weeks, maybe. Actually, that patch might wait a while, until I can reseed without mud issues. It's the largest one I have to deal with, and may be 3 feet square by the time I get to it. Also have a number of smaller areas. Last edited by Green on Mon Feb 11, 2019 10:19 am, edited 2 times in total. I know we've been through this before, but still a few questions. What do you recommend using to check the pH? Those cheap electronic pH meters are great, but be aware that if the probe ever dries off they are no longer close to accurate. I use cheap pH strips for occasional use either for aquarium or health use. Anyone ever added Tenacity into your glyphosate mixture for this purpose? I don't mind doing it if it might improve the kill. It's a good question and/or experiment but pragmatically speaking... if you want to get rid of it dig it out and be done with it. Throw some PRG in the spring and "instapatch" If you're just looking to perform a chemical experiment... ooook then. I’ve thought about this in the past and I’m glad you posted the question. I wonder if the chemical interaction would increase the effectiveness of either of the products. @fusebox7, are you implying the glyphosate isn't necessary? On a side note, I've always wondered, if you spray KBG, won't it translocate through the rhizomes and kill more than you intend outside the area sprayed? Last edited by Green on Fri Feb 15, 2019 7:42 pm, edited 2 times in total. Yeah, I got the idea from @Greendoc/@social port/@Delmarva Keith/@Movingshrub's "soul stealer". Last edited by Green on Fri Feb 15, 2019 7:40 pm, edited 1 time in total. What were the outcomes that you noticed? Did it speed up the effects of glypho when tenacity was added?